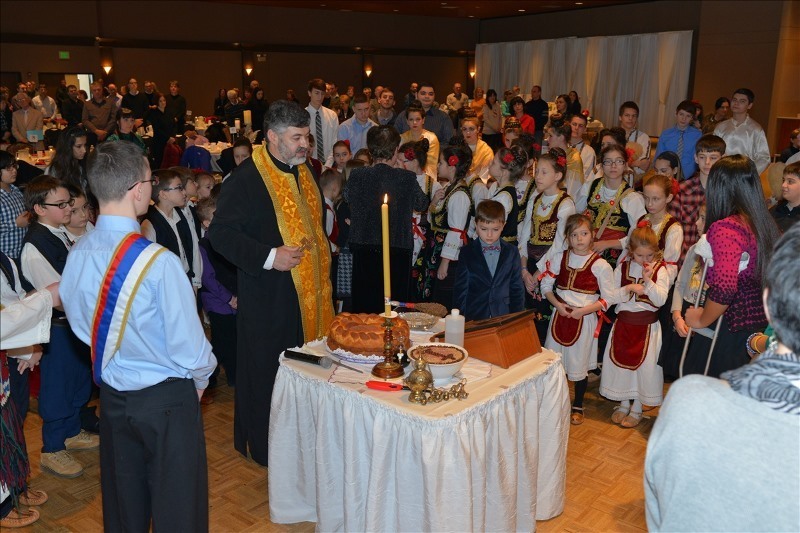 Schererville, IN – On Sunday, January 26, the parish and Church School of St. George Serbian Orthodox Church in Schererville, Indiana, celebrated the patron saint of all Orthodox Serbs – Saint Father Sava, the first Serbian Archbishop and Enlightener. 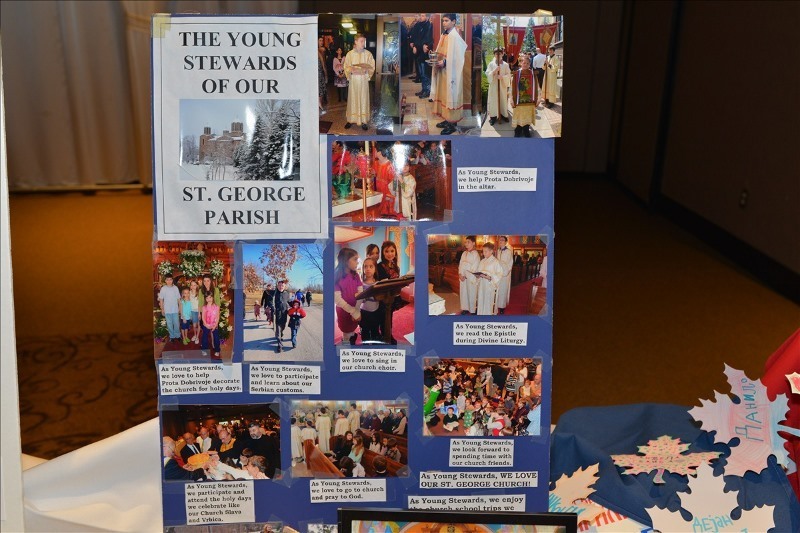 Heavy snow and low temperatures not remembered for decades did not prevent a large number of parishioners and children to take part in the celebration. After the Divine Liturgy, Prota Dobrivoje Milunović blessed the Slava bread and wheat followed by a slava luncheon. 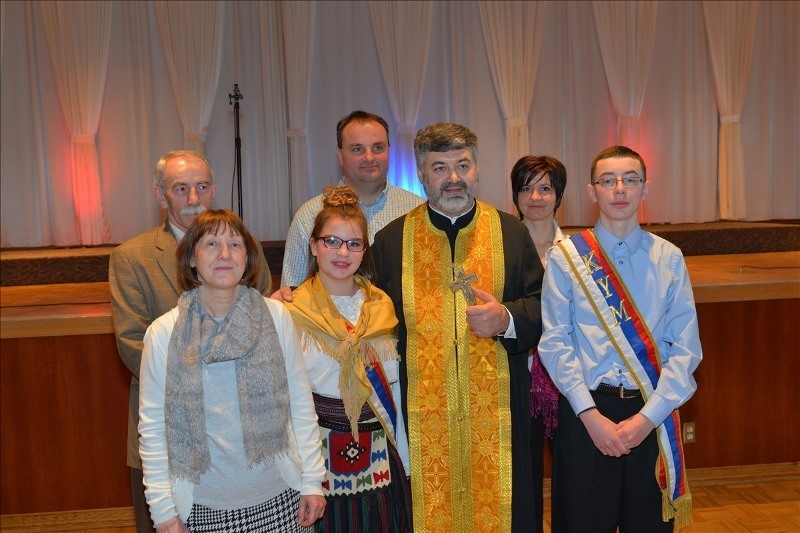 Kumovi for this year's slava were Nenad, son of Drago and Nada Vujnić, natives of Kričke in Dalmatia, and Natasa, the daughter of Kristina and Predrag Tomic, natives of Glamoc. 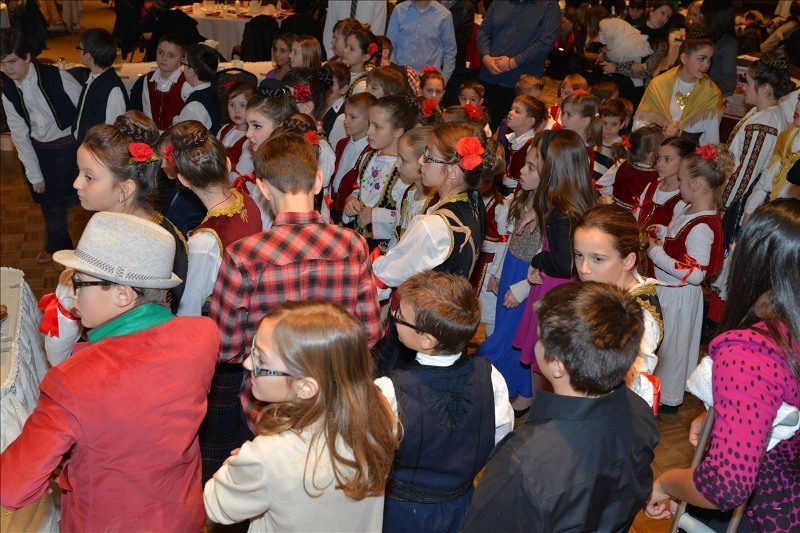 About seventy children took part in the St. Sava celebration and a rich and diverse program, thanks to Tijana Samardzija, Milan Andrijanić and Protinica Jelena Milunović. Recitations, songs, kolo and drama plays made the day pleasant and enjoyable for everyone. 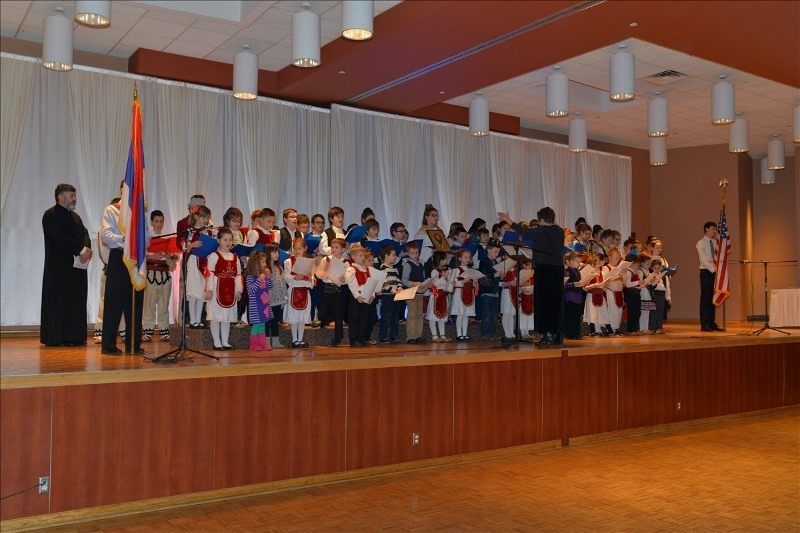 Our Children's Choir, under the direction of Tijana Samardzija, sang responses at the Divine Liturgy, during the blessing of the festal bread and wheat and the opening of the program. 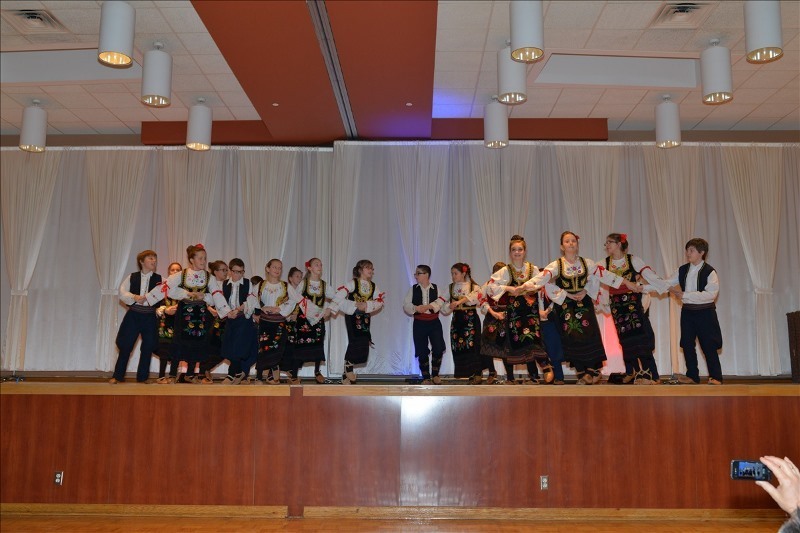 Slava banquet guests were welcomed by Prota as well as our young kumovi Nenad and Natasa, along with the president of the church-school congregation, Mr. Dane Dukic. 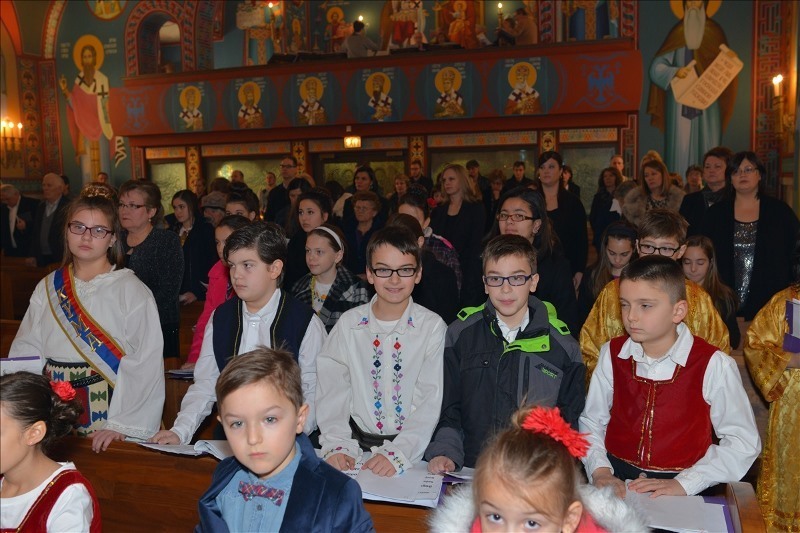 High-School graduates were presented with an Orthodox Study Bible, while all the children in attendance received gifts. 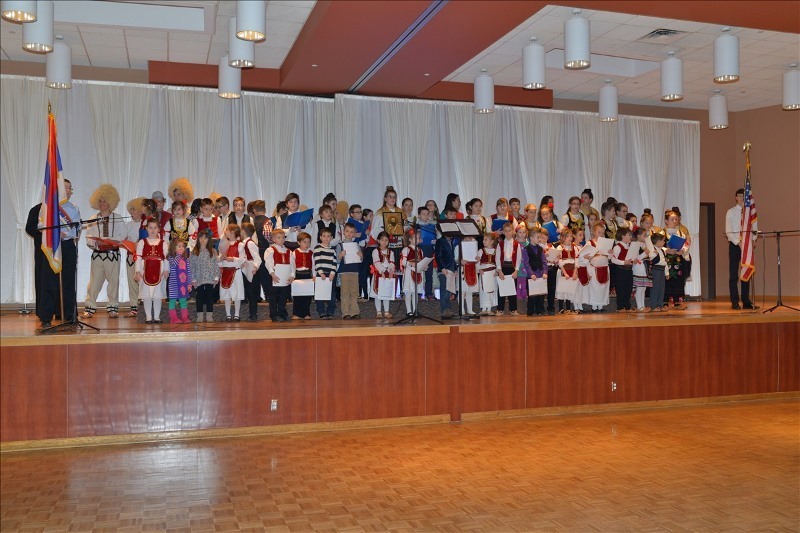 The spirit of the feast was most beautifully and meaningfully expressed by Kuma Natasa: "This year I have the great honor to be the kuma of our School Slava, which is the slava of all the Serbs throughout the world - the Holy Father Sava. Saint Sava was the first Serbian Archbishop and Enlightener. As the youngest child of his pious and virtuous parents, St. Simeon and St. Anna, he renounced the worldy fame and earthly kingdom and dedicated himself to the glory of heaven and eternal life. With the help of his parents he erected many monasteries and churches such as Hilandar, Studenica, Zica, Djurdjevi Stupovi and many more. With great sacrifices and hard work, he established the Holy Orthodox Faith among the Serbs. This faith preserved and protected our Serbian people through the centuries and to the present day. That is why Saint Sava is a spiritual father of all Serbs at all times, including ours. We also, here and now, gathered around the church of St. George, talk, sing and recite for the glory and honor of St. Sava. In this way, we continue to treasure our Holy Orthodox faith and our Svetosavlje. Also, we thus express our sincere gratitude and devotion to Saint Sava. " O HOLY FATHER SAVA, PRAY TO GOD FOR US!